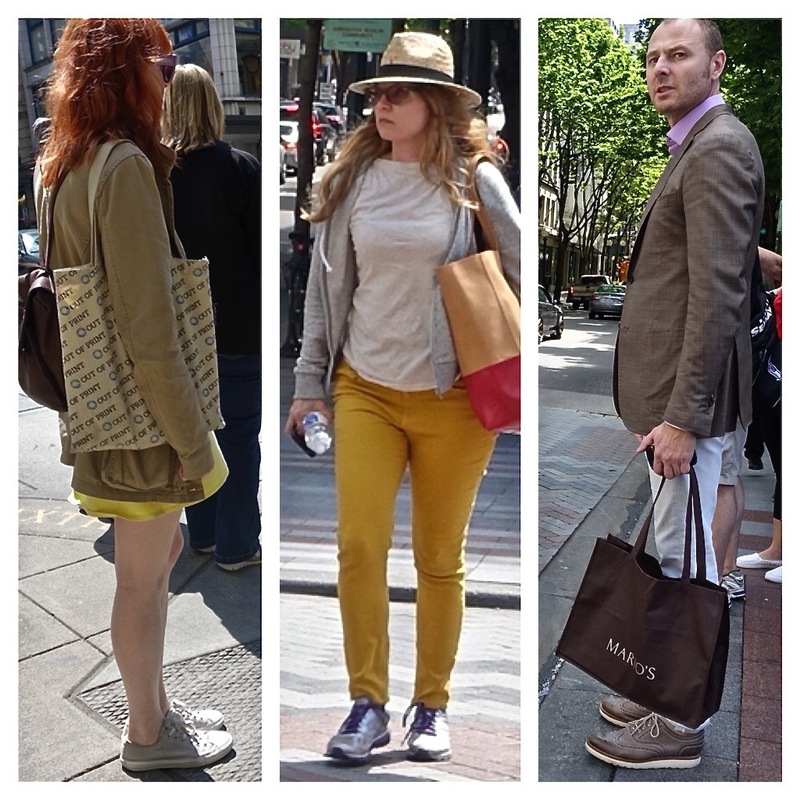 As I walked around downtown Seattle at lunchtime yesterday, I noticed something very interesting about dress style here. I can only describe it as “Seattle Cazh.” I assumed I was encountering many people taking a break from work for a bite to eat. But I wondered, could these people really be coming from work? Comfy shoes are ubiquitous in Seattle. I mean, was their attire really within the dress code of an office or bank? And where do I sign up? I am actually kidding, since I consider one of the perks of working in the courts to be an opportunity to dress up in suit and heels. 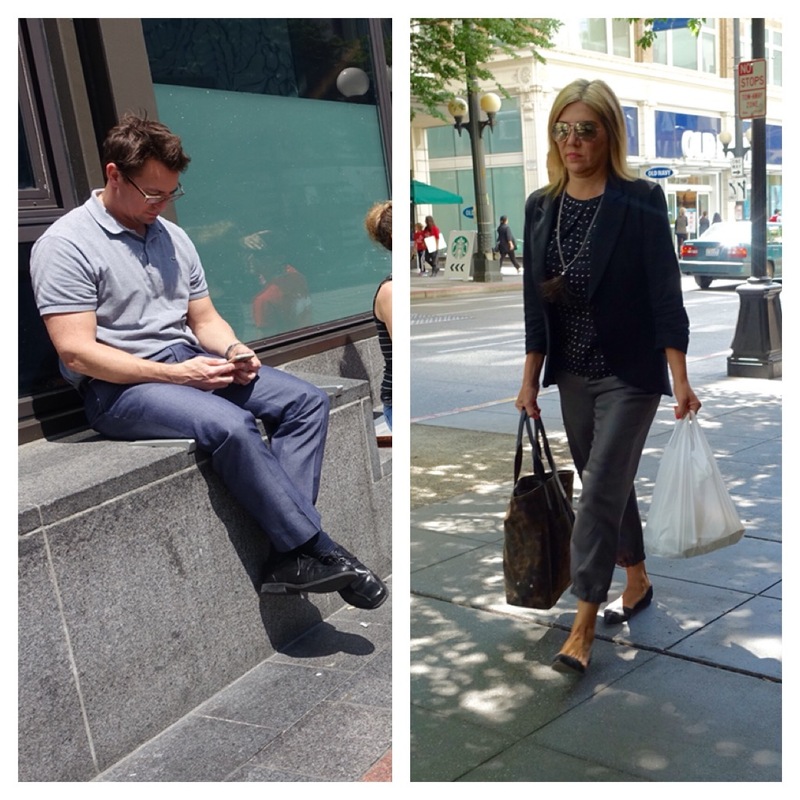 But, I am truly amazed by so much casual attire – and am inspired by the creativity demonstrated in combining cazh with (more) professional/elegant. 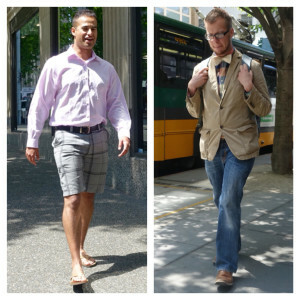 The low-heeled boots on the left seem to be a wardrobe staple for many Seattleite woman. And how can you not love in some way the Birky-suit jacket combination to the right? From my first days of residence here in Seattle since recently moving from California, I noticed that most every woman here sports comfortable footwear. Even in the courthouse, spotting an attorney in heels is rare. Ballet flats or boots with low rubber heels are much more the norm, and I have to say, they are often combined nicely with professional (or professional-ish) outfits. 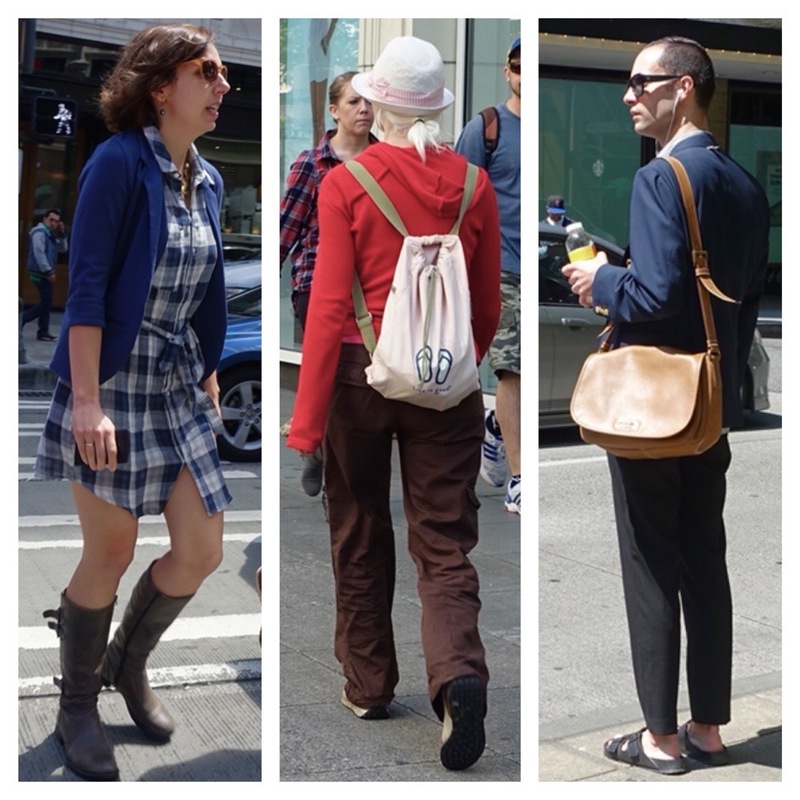 The median age in Seattle is 35. I wonder if that might be an influence on Seattle (cazh) style. There is definitely a younger, more playful vibe here among all age groups. In line with that is a craze for Chuck Taylors. They might not be the most comfortable choice – no foot/back support! – but they project an image which is hip and irreverent. The result? Seattle Cazh! It might not be considered the most fashionable of looks, but it is loaded with style. And who knows? It could end up influencing the fashion industry, as did grunge.